Ashton Palms is a small community of some 30 home sites which the post-recession market for Sarasota homes for sale has promptly absorbed. Its great location has much to do with the quick sellout of residences in this property. It was developed in a cozy parcel in southern Sarasota along the coveted locale of Ashton Road. Notably, this stretch between Clark and Proctor Roads has also been populated with relatively new residential developments such as Ashton Oaks and Ashton Pointe likewise offering attractive single family homes. There’s a deeper logic behind why Ashton Palms and some of its neighbors picked up their names from their Ashton Road location. This corridor is likewise home to two of Sarasota fine schools—Ashton Elementary and Sarasota Middle—thus making the neighborhoods around it a wise choice for many young families with school-age kids. 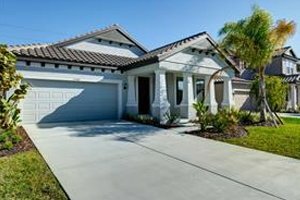 Besides the strong market push of their attractive location, the homes for sale in Ashton Palms were an instant market hit because of their superior builds and the solid expertise behind the community’s development. Its developer is CalAtlantic Homes, a merger of Standard Pacific and Ryland Homes which have a combined experience of over 100 years in the homebuilding industry. CalAtlantic developed Ashton Palms with exclusivity and luxury as amongst its guideposts. It set this community as a gated enclave with a man-made lagoon providing a backdrop to most of its residences. The home builds in this property stand out for their energy-efficiency, showcasing CalAtlantic’s focus on developing communities with an eye on sustainability and resource conservation. The floor plans of Ashton Palms homes for sale measure between 1,660 and 3,600 square feet designed with three up to five bedrooms. Coming in either two- or single story models, the market values of previously sold residences in this community were quoted from the $300s up to the $500s. Some of the first homes constructed here, which were built in 2015, are coming onto the resale market with significant upgrades and still covered by builder guarantee. In addition to proximity to top-rated local schools, Ashton Palms homes for sale also draw market perk from their easy access to Interstate 75 via the Clark Road interchange a short distance east of the community. 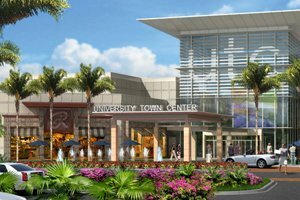 Northwards, this highway allows convenient trips to the topnotch health care facilities and services available at the Doctors Hospital of Sarasota near Bee Ridge Road and to the various shops and restaurants of the Mall at University Town Center. The arterial roads flowing westward of the interstate likewise enable Ashton Palms’ residents to partake in many of Sarasota’s local points of interests including job centers and business opportunities. A short drive west via Clark Road, for instance, leads to the resurgent Gulf Gate business district which have lately been attracting young entrepreneurs. Via the same westerly route extends to Stickney Point Road which is the southern gateway to Siesta Key and the pristine white sands of its beaches that contribute to the market zip of Ashton Palms homes for sale. 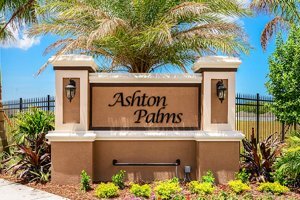 Below are the current real estate listings available at Ashton Palms.